13th annual Meagan's Walk: Creating a Circle of Hope to raise awareness, and generate support for, children and families affected by paediatric brain tumours. The five kilometre walk, presented by Colliers International, starts at Fort York and ends with participants forming a giant human hug around The Hospital for Sick Children (SickKids). To date, Meagan's Walk has raised more than $3.1 million for the hospital. Meagan's Walk is part of Healthy and Happy, a SickKids campaign in May to educate and raise awareness in the community about children's health issues. The theme of this year's campaign is Healthy Active Living. Participating in Meagan's Walk is a great way for families to be active and spend time outdoors. 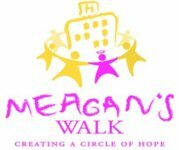 HOW: To participate in Meagan's Walk, you can register here today!